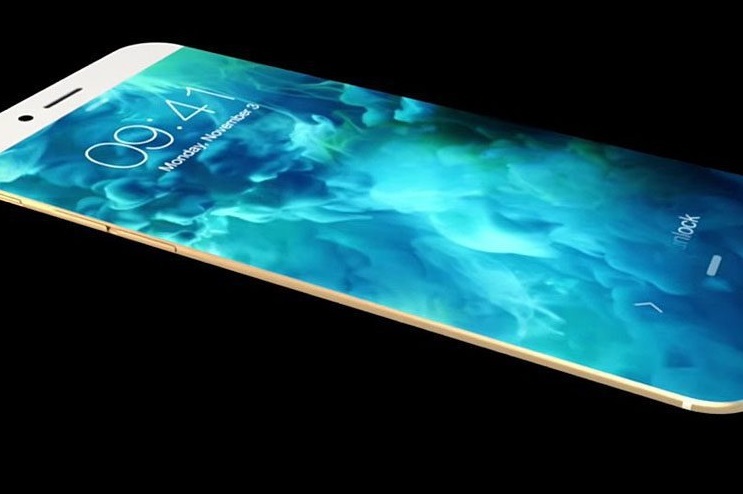 Earlier concept renders already predicted a largely bezel-less design for the next iPhone. Another group of analysts at Barclays Research believe, that the iPhone 8 will be a largely bezel-less phone with increased displays areas. However, there is disagreement over the way the Home Button will be implemented in the next iPhone. Many analysts have predicted, that the iPhone that Apple will release next year will consist of a larger display area than current models, making those bezels smaller than they are on the current models. However, while analysts like Ming-Chi Kuo think, that Apple will fill the entire front with an edge-to-edge display and get rid of the traditional home button, a group of analysts at Barclays Research, who recently also published a research report on Apple's iPad lineup of 2017, think, that Apple will keep the traditional Home Button even on the anniversary iPhone in 2017. They do, however, agree, that the next iPhone will have an increased display area. Instead of 4.7 inch on the current iPhone 7, they expect Apple to integrate a 5 inch display on the smaller model, without increasing the physical size of the device itself. The Plus-version will grow its display area from 5.5 inch to 5.8 inch and will also switch to curved OLED instead of the current LCD panels. Those OLED panels are said to come from Samsung and LG. In 2018, Sharp will be able to contribute with panels of their own once their new OLED-factories are up and running. Apple is expected to ship their next iPhones in September of 2017.